Lecture Mode is a function only the host can use. This function mutes all other users and allows the host to speak without any interruptions. If most of your meetings are informational, and you are the one running the call, you might be interested in setting this feature by default. That way, you won't have to remember to put your call on Lecture Mode at the beginning of every single meeting. 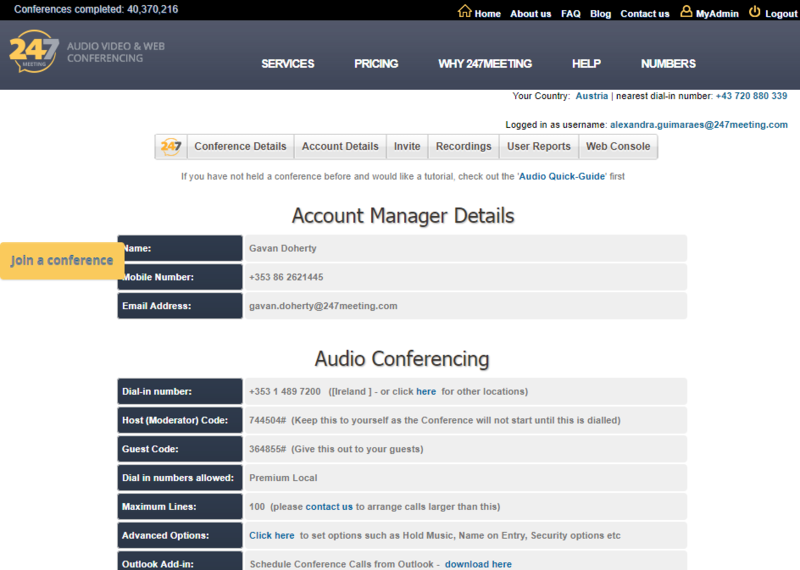 Just go to MyAdmin, in the Audio Conferencing section, you'll see a line "Advanced Options". Click on the link, it will open the following pop-up. 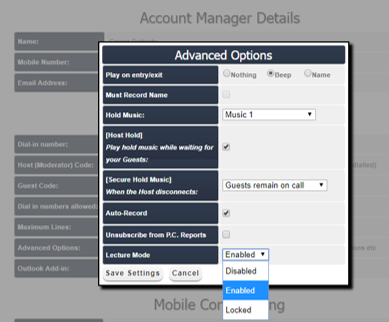 Here, click on the drop-down menu next to "Lecture Mode" and pick "Enabled". You can turn off this function at any time by pressing *5.